I have to admit that when I first heard of grilling peaches I didn’t know what to expect. I was pleasantly surprised when I tried them out for myself. 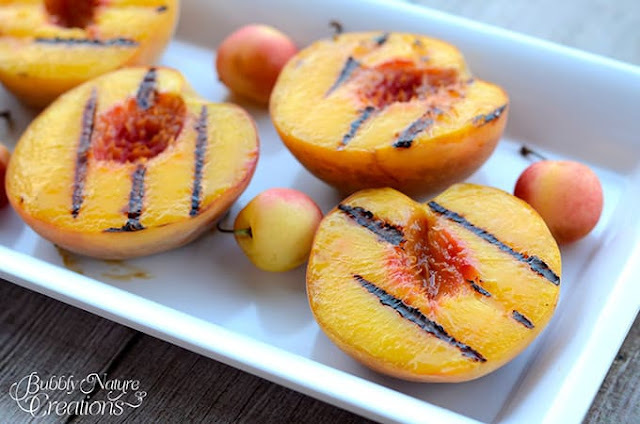 Grilling peaches gives them a wonderful smoky/ caramel flavor. You need to try them out if you haven’t yet! 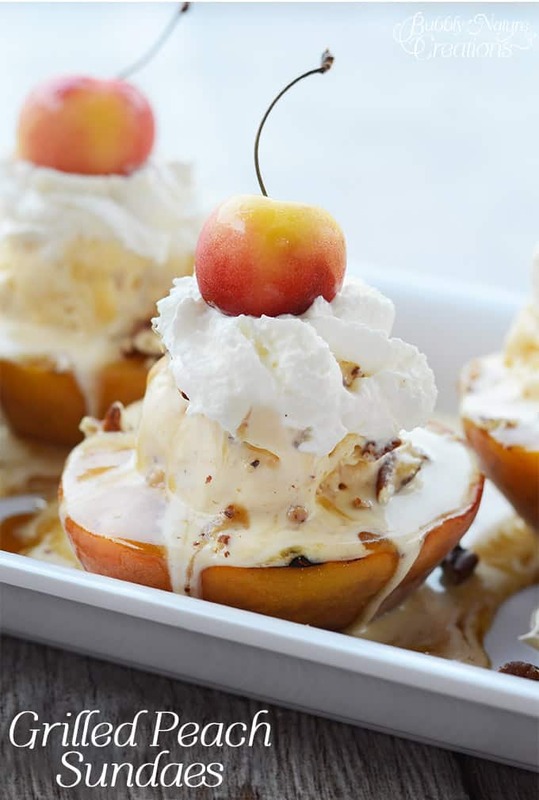 The perfect way to try them out is with these Grilled Peach Sundaes! The buttery praline sauce compliments the caramel flavors of the grilled peach perfectly in this easy summer dessert. Make sure that you find the best quality peaches. The peaches that I found at the Walmart Produce sections were sweet, fragrant and totally addicting. 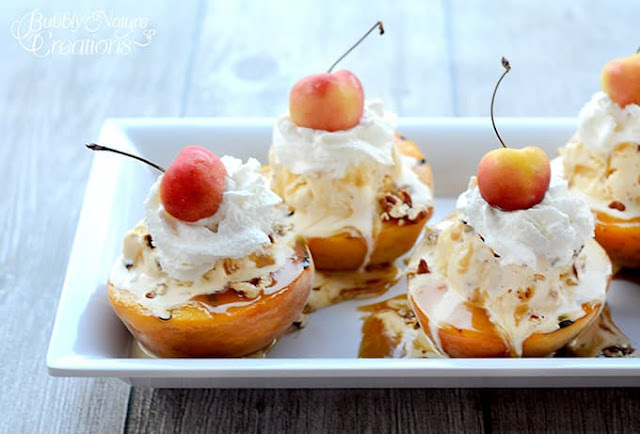 Grilled Peach Sundaes with Praline Sauce! In a small saucepan over low heat mix brown sugar, light corn syrup, heavy cream, and butter. Cook and stir praline sauce over medium heat for about 10 minutes until smooth and thick. Stir in vanilla extract and it is ready to serve . Dip your finger into the cooled off praline sauce and rub each peach half lightly with the sauce. Preheat grill to medium/ high heat. Cook peaches face down on grill until they soften and have grill marks around 3 minutes. Take off the grill and allow to cool down slightly. Place peach half face up and top with Butter Brickle or vanilla ice cream, Praline Sauce, toasted pecans, whipped cream and a cherry! 0 Response to "Grilled Peach Sundaes with Praline Sauce"